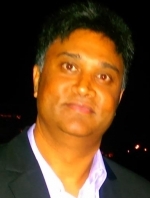 Amesh is a Chemical Engineer with over 20 years experience in multi disciplinary team management, process team management, plant design, project execution, commissioning and operation, risk management and studies, investigations, facilitation and audits. He has worked in several industries ranging from oil and gas (including petroleum refining),water, shale to liquids, chemicals, rail and coal mining. Amesh started his career in the coal mines of South Africa and has since been associated with large multinationals and small upstart companies, both in South Africa and Australia. Leading and facilitating groups, project management, and mentoring of fellow engineers to achieve strong outcomes in support of company and project goals are listed as some of Amesh’s key strengths. Amesh also has a keen focus on plant safety through design, ensuring people and the environment are protected, and ultimately achieving objectives related to safely operating facilities. At present Amesh is providing specialist process design and risk management services as part of his own engineering consulting entity.